Since the announcement of the Orlando Pirates Football Club and Queens Park Rangers (London) Exchange Programme in October 2015, 4 young students (2 per club) from each club were selected to travel to each other’s country and be a part of the daily lives of the club and fellow students they came to visit. The aim of the exchange programme was to engage them in a challenge exploring what modern day football clubs mean to communities and the impact of clubs on their local areas. The partnership between the clubs is as a result of Acer’s involvement in Education at both centres, courtesy of Microsoft. Students from the Orlando Learning Centre powered by Acer and QPR exchanged ideas whilst completing activities together using technology and video calling facilities at each centre. Through these activities the students got to know more about each other and each other’s country and culture particularly with regards to football before their trip. Acer Africa and Orlando Pirates Learning Centre recently hosted the selected students from Queens Park Rangers Football Club and gave them a unique trip of Johannesburg/Gauteng - the students were taken on a tour of some of Johannesburg’s famous sights and attractions that included the Lion and Rhino Park, Gold Reef City as well as experiencing the day in the life of a student in and around the Orlando/Soweto area – experiencing a range of cultural, sporting and educational activities that culminated in to a once in a lifetime experience. The week concluded when the learners were afforded a once in a lifetime opportunity of attending an Orlando Pirates soccer game at the Orlando Stadium – something totally unique to South Africa. 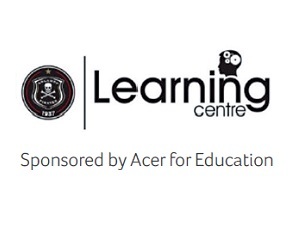 The Orlando Pirates Learning Centre was opened in October 2012 and focusses on curriculum-aligned activities in Maths, ICT and English while providing learners with an opportunity to become computer literate and familiarise themselves with the latest technological innovations to prepare themselves for the work environment. The centre, situated at the club’s home ground, Orlando Stadium, has two hi-tech classrooms boasting the latest in software, courtesy of Microsoft, to help learners achieve their targets and become confident, contributing members of society. QPR in the Community Trust has a proven track record in working within the local community providing opportunities based on the main broad objectives of Health, Education, Social Inclusion and Participation, tackling National issues at a local level. The QPR Study Centre is a purpose built classroom located within the unique setting of the Loftus Road Stadium in London. Since the centre’s opening in 1998 over 5000 local youngsters and adults have been assisted, and in addition to the education programmes delivered from the Centre, QPR also offers a range of outreach education work.